Looking for the perfect gift for your U of M student or Gopher fan? 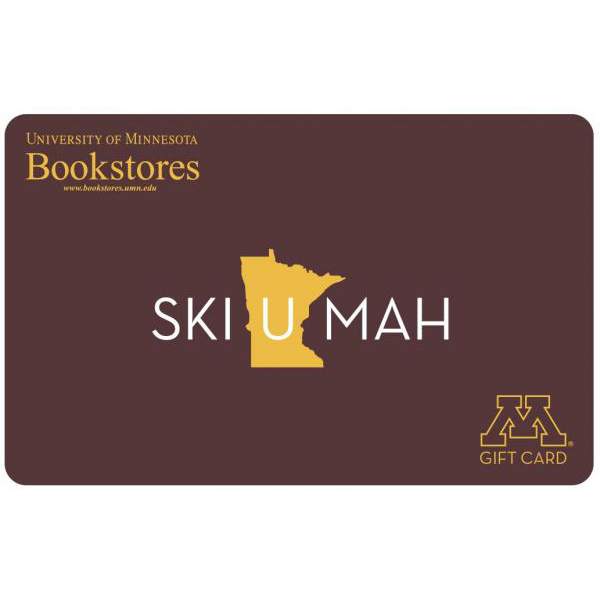 Let us send them a U of M Bookstore Gift Card so they can shop for any thing, at any time at any U of M Bookstore campus location. A $1.50 shipping and handling charge will be added to each gift card order. All gift card orders are mailed via USPS. Please allow 3-5 business days for delivery.